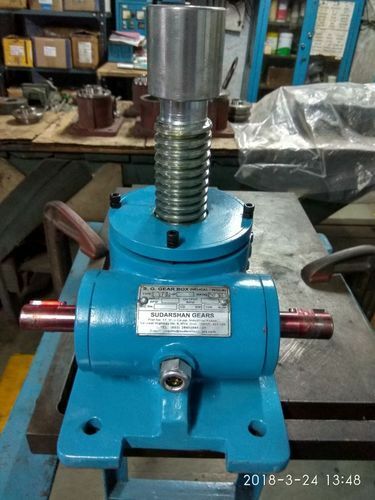 We are a leading Exporter of mechanical & motorized screw jacks from Mumbai, India. Mechanical Screw Jacks with trapezoidal lifting screw or lifting nut is manufactured. Variations such as bellows and limit switches are available to suit various applications. One of the most widely used and popular screw jacks worldwide and proven in the most demanding linear motion applications, to our high-performance machine screw jack that meets the ever-growing industrial demands placed upon our products. Looking for “Mechanical Screw Jacks”?